The Abramovic Method developed over decades of research on performance and immaterial art. 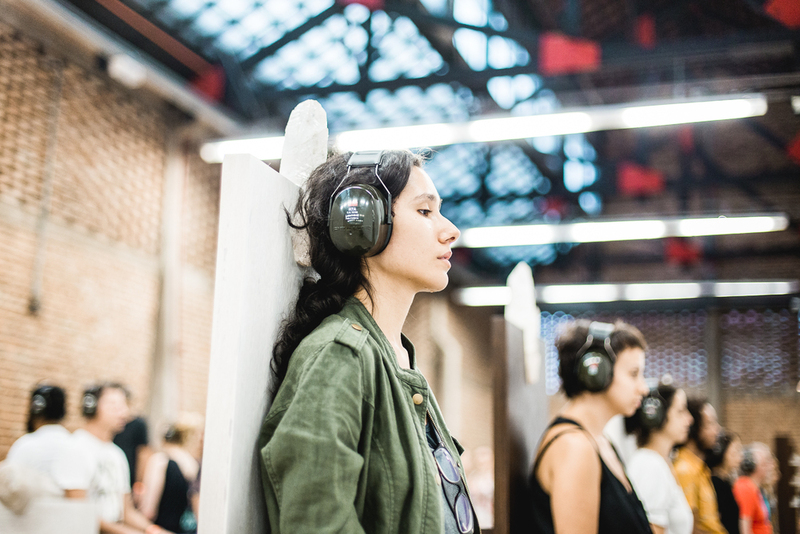 Created by Marina Abramovic, the Method is an exploration of being present in both time and space. It incorporates exercises that focus on breath, motion, stillness, and concentration. The audience plays a central role in this section of the exhibition. 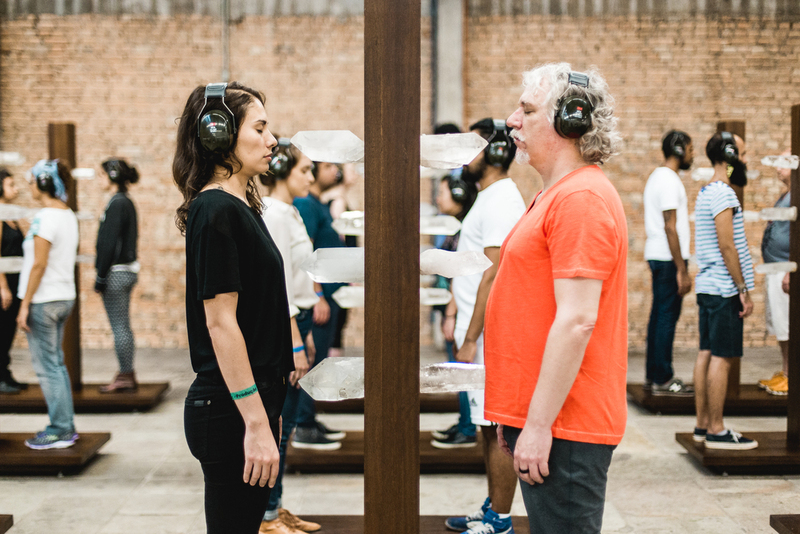 Originally a program exclusively for artists, the Abramovic Method is now available to the public at Terra Comunal - MAI. Visitors will learn and then practice a series of Method exercises from trained facilitators. The most straightforward task such as walking or breathing becomes a means through which participants can hone perception and investigate their individual mental and physical limits. Performing these simple actions counteracts the rushed pace of day-to-day living. Emphasis is placed on consciously doing one thing at a time, often very slowly, to achieve a deeper awareness of the self and the outside world. 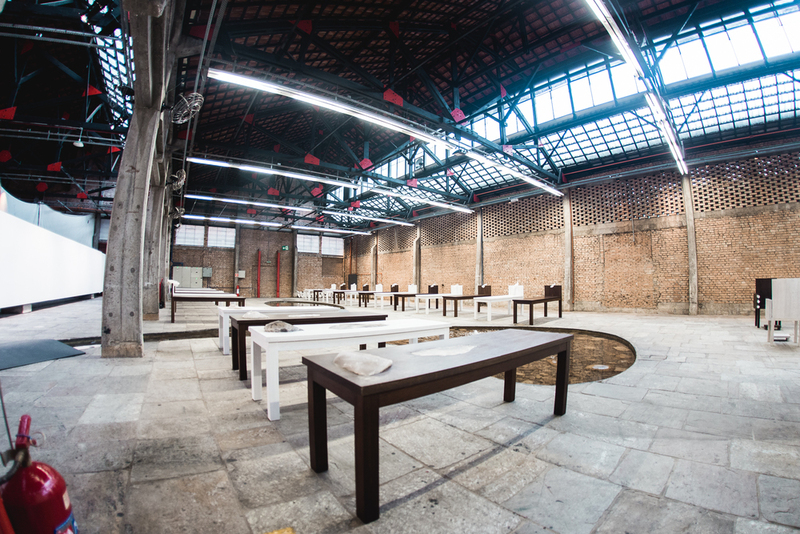 A special series of Transitory Objects, primarily chairs and tables embedded with minerals and crystals, was created by Abramovic to enhance the Method experience with materials that possess natural energetic properties. 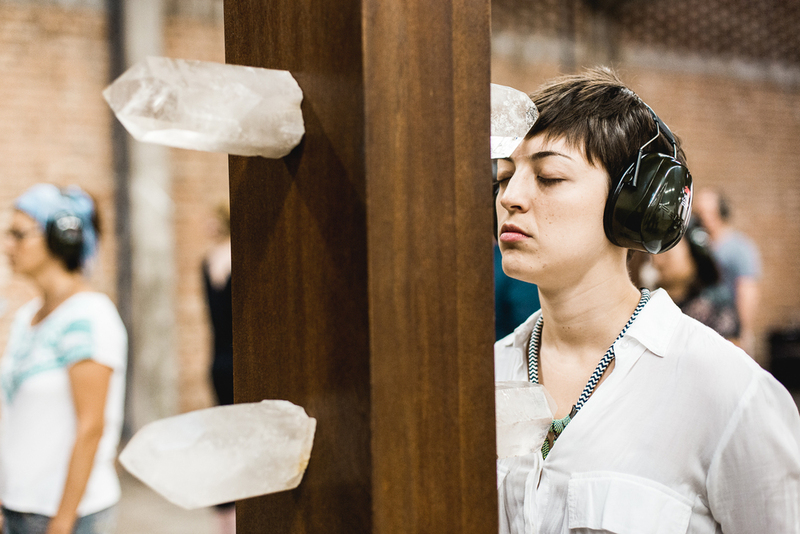 Crystals are the focus of Abramovic’s artistic research in Brazil, which she began many years ago and still continues to this day. The specific minerals chosen for these Transitory Objects are believed to have the power to maintain the energy of a moment long after it has passed. 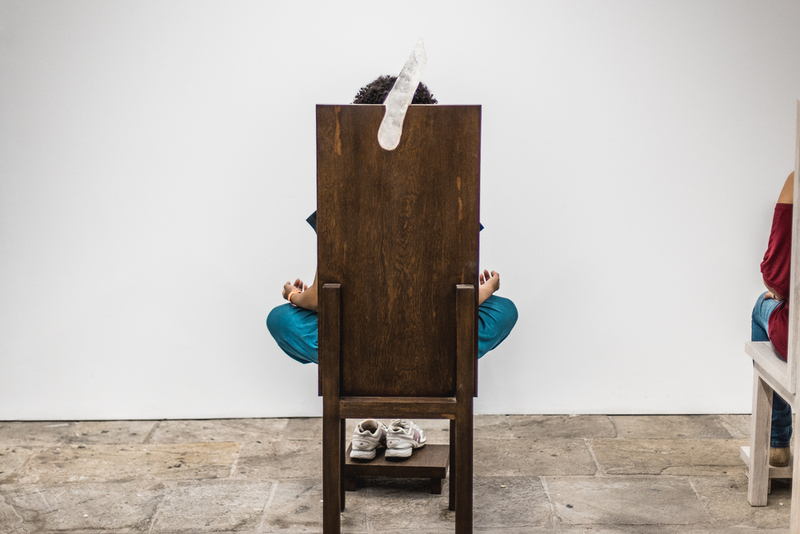 Throughout her artistic trajectory, Abramovic has consistently blurred the lines between the observer and the observed in the context of performance. By inviting audience members to participate in the Method, the public takes on both roles. Registration is required. Sign up on SESC Pompeia's page. The Abramovic Method process takes 2 hours and 30 minutes to complete.